zur cd: insgesamt gesehen gefällt mir ihr sophomore album nicht ganz so gut wie ihr debüt arular, jedoch ist ihre musik sehr gewöhnungsbedürftig, also könnte ich meine bewertung noch ändern. zur zeit ist mein favorite "bamboo banga"
Mir gefällt dieses Album ganz gut. Der genialste Song überhaupt --> "Paper Planes"
Ganz nettes Werk, experimentelles Schaffen, abwechslungsreiche, teils recht unkonventionelle, eigene Kompositionen. Sehr krauses, teilweise sehr monotones Zeug. Kaum Melodie, wenig Stimme, Texte habe ich kaum beachtet bei dem Sound. "Paper Planes" ragt deutlich heraus und ist neben "Jimmy" der einzig wirklich starke Song - und sicherlich auch kommerziellste. Nicht meine Welt diese Frau, krass overhypt von den Kritikern. Wow, was habe ich denn da Feines entdeckt? Madonna ist es zu verdanken, dass ich auf die Künstlerin M.I.A. aufmerksam geworden bin, ist diese soch gleich auf zwei Songs auf deren aktuellen Album "MDNA" vertreten. Das führte dazu, dass ich mir zunächst ihren größten Hit "Paper Planes" angehört habe und gleich davon begeistert war. Einige Monate später habe ich schließlich in das ganze Album reingehört und inzwischen liebe ich es. Es ist mit nichts zu vergleichen, was ich bisher gehört habe. So haben mich Songs wie "Bamboo Banger" und "Jimmy" sofort geflasht, während ich den Zugang zu anderen Songs erst nach und nach fand. Es ist erstaunlich, was M.I.A. mit diesem Album abgeliefert hat. Klare 6 Sterne dafür, dass ich mit diesem Album meinen musikalischen Horizent mal wieder ein kleines Stück erweitert habe. If you really can't be bothered reading this review in its entirety, I don't blame you; scroll down to the punchline if you wish. About a decade ago, I started exhibiting a genuinely personal interest in music. As minor as it was, it was just something different for me. I discovered Rage's brilliant ARIA Top 50 countdown in 2004 and (when I didn't have other things on) I would sit down of a Saturday morning and indulge in a variety of different music I previously had so little exposure to. It was around the time I discovered that the urban/hip-hop genre wasn't a complete lost cause for me. I had also created a chart of my favourite music for a small amount of time at the peak of this period. Around this time it was the Eminem, Chingy, Nitty and Snoop Dogg that I enjoyed but I wasn't so keen on Xzibit, Ja Rule and co.; bottom line here is that I realised I liked rap music. When I hit high school, I had less time on my hands and I stopped watching Rage. It was around this time that they stopped the ARIA Top 50 broadcast so I just gave up altogether. My music hobby was little more than an afterthought for a couple of years. In 2008, I matured somewhat and realised there was more to music than what my parents listened to. I recalled my 2004/2005 nostalgia and how interested I was back then with music, and I thought that I should do something about it. My brother then bought MGMT's debut record and I got The Ting Tings. I thought they were both so edgy, and looking back, their commercial success is something of a delight to me. Around late 2008/early 2009, I started watching Rage. I bemoaned the fact that the Top 50 broadcast was no longer, but regardless I started watching the rock/pop/dance they'd put on of a Saturday morning. Throughout 2009, I realised how good Kaiser Chiefs, Kasabian, Arctic Monkeys and so many more were. And around this time, I remember hearing 'No You Girls' for the first time. I bought 'Tonight' and then all their others, I got an iPod Nano, and out of nowhere my music obsession was born. I opened a whole new world that I didn't realise was so diverse. I got back into Rage and heard 'Percussion Gun' one morning and I just loved it instantly. And with Muse and Pearl Jam albums released at the time (the former of which opened me up to them), I found myself listening to stuff other than Franz Ferdinand. One morning at home studying for exams I was in a procrastinating mood. If I recall, something reminded me of the fact that I used to do a music chart five years ago and I wondered if other people actually did this. I probably Googled something like "make your own charts Australia" and saw this site on the first page and I had a eureka moment. Two hundred weeks of charts later and here I am. Despite all this, my rap/hip-hop/urban admiration from years ago remained dormant. Coming from a lifestyle which previously involved no exploration of music whatsoever, it was natural to accept that I wasn't going to very open to much else outside of my favourites. I did chart the occasional ARIA smash and I found myself opening up even more. Jay-Z's 'Empire State of Mind' was probably the song that got me into rap music again. The stunning vocals and catchy beats were not too dissimilar to the dancey stuff I was enjoying at the time anyway! I ended up buying the whole Blueprint 3 album in 2010, and from there I only got better with time. Fast forward to early 2012 and I was surfing through YT for some new tunes to find and I stumbled upon M.I.A. 's evocative film clip for 'Bad Girls'. Recalling her as that same woman with the weird 'Paper Planes' and 'XXXO' songs, I thought I might just give it a try. 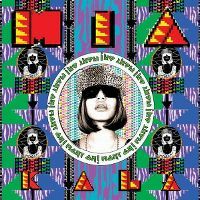 And since that song made my 2012 EOY, I kept M.I.A. in the back of my mind for artists I should explore more one day. I have this 1001 Albums to hear book that I read every night in the hope that I can unearth some critically acclaimed gems. The thing that bugged me was that the most recent album was 'Oracular Spectacular', but perhaps I had to realise that I was more knowledgeable about music after 2008 anyway. In any case, I found M.I.A. 's 'Kala' which was listed as "a staggering album that sounded like nothing else on Earth". I thought "Hmm, perhaps a bit too much for me" at the time. And in hindsight, it really was. It's just so out there and different. I realised that I couldn't just review the whole album in one foul swoop because it is just so different to what I'm used to with music, that it's likely to change for me over time. Originally I had found the likes of '20 Dollar' and 'Birdflu' a bit annoying, now I admire them for being very cool on an artistic level. The heavy backing beats and solid Diplo-dominated production doesn't let up for very long, and so it definitely can be difficult to take it all in. The diversity throughout is greater than I realised also, because there's disco on 'Jimmy', didgeridoo on 'Mango Pickle Down River' and even gunshots on the iconic 'Paper Planes'. Out of her 4 albums, it's my least favourite. Die grellen Farben am Cover passen zur Melange die sie hier präsentiert. Das Album wurde nach ihrer Mutter benannt (die übrigens Britin und nicht Afrikanerin ist), ist vom Inhalt her aber so gar nicht nach dem Geschmack der Amerikaner (wo sie prompt Einreiseverbot erhielt). Die Musik erinnert mehrmals an den Soundtrack diverser Bollywoodfilme und sie selbst bezeichnet es mit "Ich habe Menschen einen Platz auf der musikalischen Landkarte verschafft, die noch nie eine Landkarte gesehen haben.."
Für mich einmal mehr von den Kritikern (u.a. #1 des Jahres, Rolling Stone) maßlos überbewertet und je länger umso anstrengender.